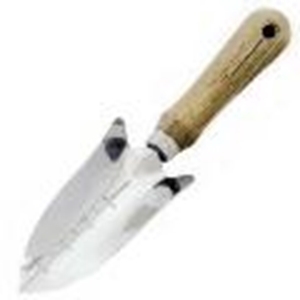 Garden transplanter with wooden handle is a classic tool, with a timeless and sleek design comprising of rust-resistant stainless steel head, is made to last a lifetime. This tool is a must whether you are a gardening fanatic or a professional gardener or just some who occasionally uses it. We have years of experience working with gardening tools and instruments and we promise user satisfaction. With free shipping over bulk buying, we offer the best deals for quality gardening products. Our prices are extremely economical with a promise of highest quality material and best value for your money.